I was able to pull up the prompt myself after exiting a call in Duo. 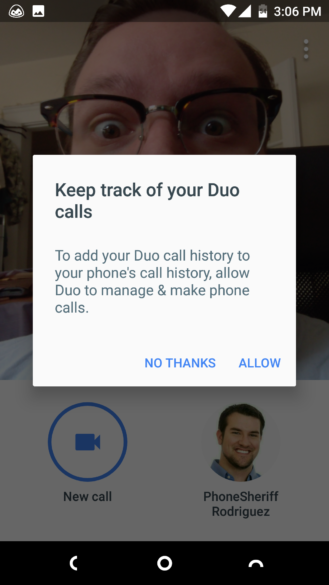 Interestingly, it doesn't just ask to add your Duo calls to the system call history, the current prompt also requests if you'd like to have Duo manage and make phone calls. 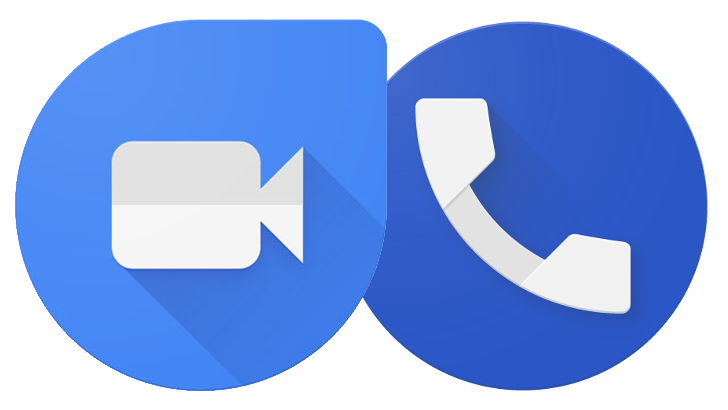 Maybe in the future, Google is planning on adding phone functionality to Duo. If they were to combine that with the long-requested SMS functionality in Allo, the two could make a fantastic one-two punch to perfectly replace the stock messenger and phone apps. None of the calls I made via Duo showed up in my call log, so it could be that this prompt appeared a bit early, or a server-side switch needs to be flipped first. But if the feature is coming, and with this prompt appearing I wouldn't expect for it to take too long now, unless it was enabled by accident. If you're anxious to set yourself up for it and don't have Duo installed, feel free to pull it down over at Google Play or via APK Mirror.